71 drivers will fight for the victory of 23rd Winter Series. The Winter Cup of Lonato has reached its 23rd edition and once again proves to be a popular destination for all kart racers from the old Continent - and beyond. In the Ok class this year there are already 71 participants. Among the favorites we can't fail to mention Lorenzo Travisanutto (KR/Parilla) and Nicklas Nielsen (Tony Kart/Vortex), the only winners of the competition since Ok replaced KF, with the Dane finishing first in both 2015 and 2016. In 2018 the two rivals have clashed just once: at the first race of the WSK Super Master Series in Adria, with the driver from Spilimbergo finishing 2nd right in front of the German of KSM. Fresh from the triumph in the event just mentioned, Hannes Janker (KR/Parilla) will try an encore but, in addition to Travisanutto and Nielsen, he will have to beat a few other heavyweights. 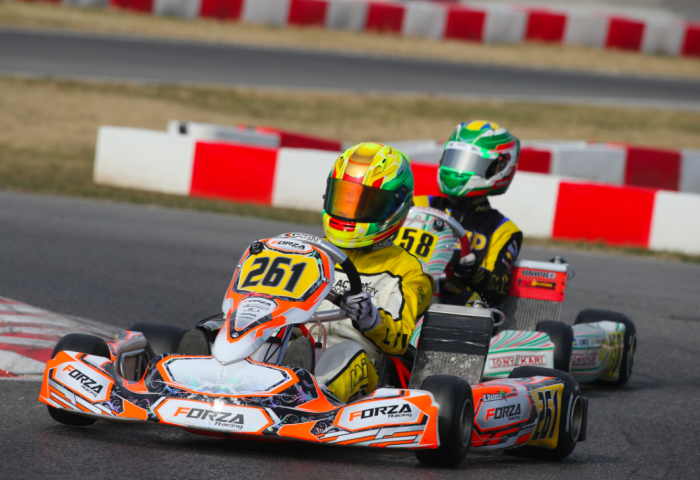 For starters, David Vidales (Tony Kart/Vortex) and Pedro Hiltbrand (CRG/TM), but, above all, a Tom Joyner (Sodi/TM) out to make his mark after the difficulties at Adria. Lorenzo Ferrari (Exprit/Vortex), too, is also called to confirm the good start of his season, thanks to which he is increasingly taking a leading role in the category, despite only one season of experience in OK.